Love grilling and spending your weekend preparing your favorite grilled meals? Well, this Ultimate Reusable BBQ Mat is the right one for you! Grill meat, vegetables and anything you desire using this reusable BBQ mat. This mat will retain the juice, moist and the flavor of your meat. It also keeps your food from falling off through the charcoal grills and get all toasted. It's also reusable, dishwasher-safe, easy and simple to clean. The mat is made with PFTE Teflon- the ones that are present in non-stick pans- which ensures the food are perfectly grilled on all sides without getting burnt. The mat is reusable, dishwasher-safe, easy and simple to clean. This would be the perfect gift idea to your friend and for yourself who just loves grilling. Grilled to perfection and grab your own Ultimate Reusable BBQ Mat now! Material: PTFE Coating Fiberglass Fabric. 1.Place mat on grill surface. 2.Place food directly on the mat. 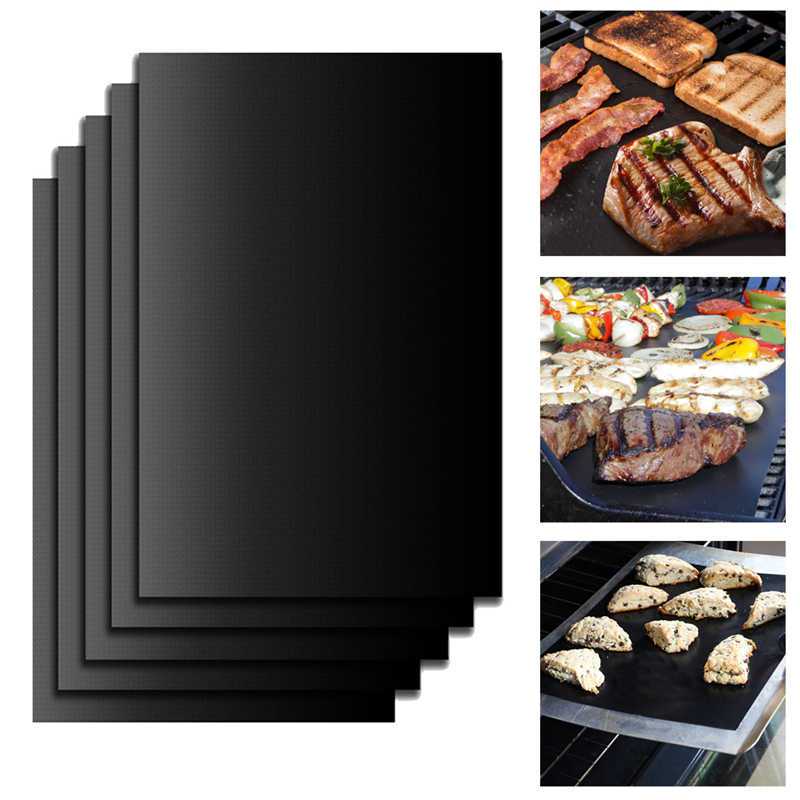 3.The Reusable Grill Mat is suitable for all kinds of food. Wash by hand with warm soapy water.